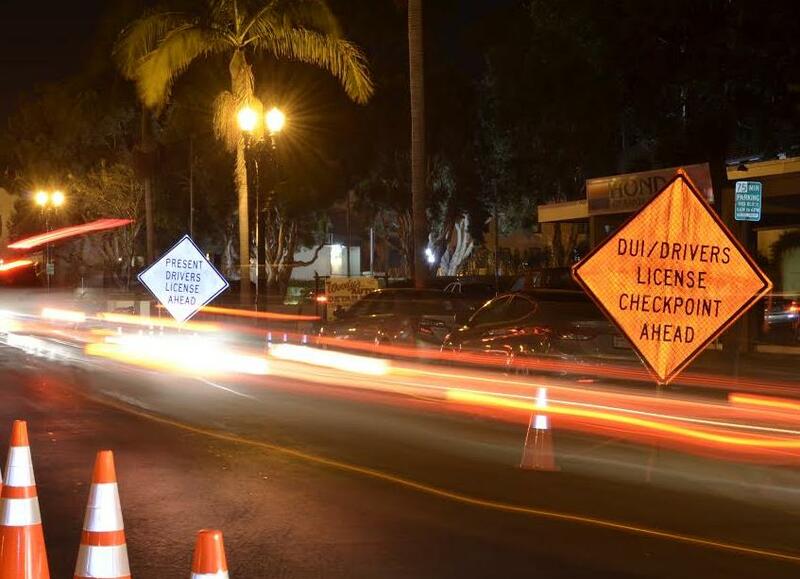 Goleta city police will conduct a DUI and driver’s license checkpoint from 6:00 p.m. to 3:30 a.m. on Friday, January 22, at an undisclosed location in Goleta, selected based on accident statistics and frequency of past DUI arrests. “Over the course of the past three years, Goleta officers have investigated 75 DUI collisions which have claimed two lives and resulted in another 34 injuries,” stated the Wednesday Sheriff’s Office press release announcing the checkpoint. Encouraging community members to designate a sober driver, take a cab, or request an Uber or Lyft, the release also points to the California Office of Traffic Safety DDVIP (Designated Driver VIP) app, launched in 2014 by the California Office of Traffic Safety (OTS). The app helps users find bars and restaurants in their city that partner with OTS to offer free giveaways to designated drivers. Friday’s checkpoint is funded by an $112,000 November grant from OTS via the National Highway Traffic Safety Administration intended to reduce traffic-related deaths.